In Blossom Capital, we have found a great partner who will work side-by-side with us, every step of the way. Blossom is also a partner who understands the importance to us of preserving our company culture, as we grow, and demonstrates the advanced knowledge about the EU and US markets that will help us to scale. 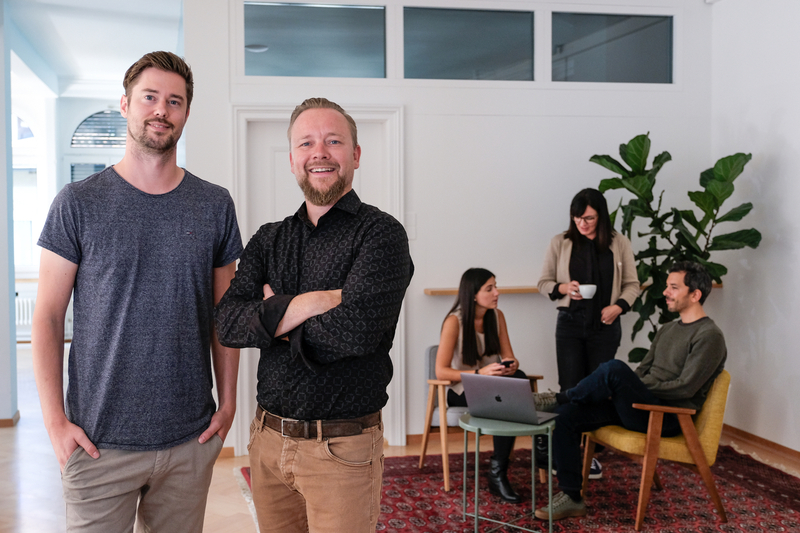 This recent round of funding is led by Blosson Capital, with participation from our pre-existing angel investors Thomas Duebendorfer and Michael Naef. We can’t wait to get started. Across the world, companies are waking up to the importance of investing in their brands. They realize that doing so creates long-term value. Over the last ten years, there has been a noticeable shift in brand management. Managers now see that branding should be happening all the time, it should be present in everyday work. We're moving away from stale brand guideline books, collecting dust on a shelf – or PDFs shared on the rarest occasions – to online systems that centralize information, making it available to anyone, at any time. But this is only the beginning: at Frontify, we want to remove every barrier, providing entire brand worlds at the tips of every employees' fingers. Our vision is to encourage both small and global brands to grow stronger, by enabling them to create enduring, consistent brand experiences. Frontify is not the normal Silicon Valley startup. You could even say that we are not the typical branding company. We come from a small city in Switzerland, rather than a big-city background. We believe in the technological growth of our region, and the personal growth of our employees, which we are committed to at every step of the way. With this new funding, we're able to profoundly improve our products, presenting our vision of simplified brand management to new markets. Right now, we're working on a new publishing tool which combines the creation of marketing materials with our all-in-one branding software. This will enable even more users, across different areas of a business, to see the benefits of using Frontify right across their organization – creating brand-consistent content. We have seen exponential growth over the past years, but our unique culture is important to us, and remains the same as we embark on this journey. Our ambition is to make Frontify a role-model for employee success, making us a leading workplace, not only in Switzerland, but around the world. Working closely with Blossom, we know that we can achieve this. We are looking forward to seeing this journey continue, as we develop the future of brand management, helping companies build brand expressions that will last forever.